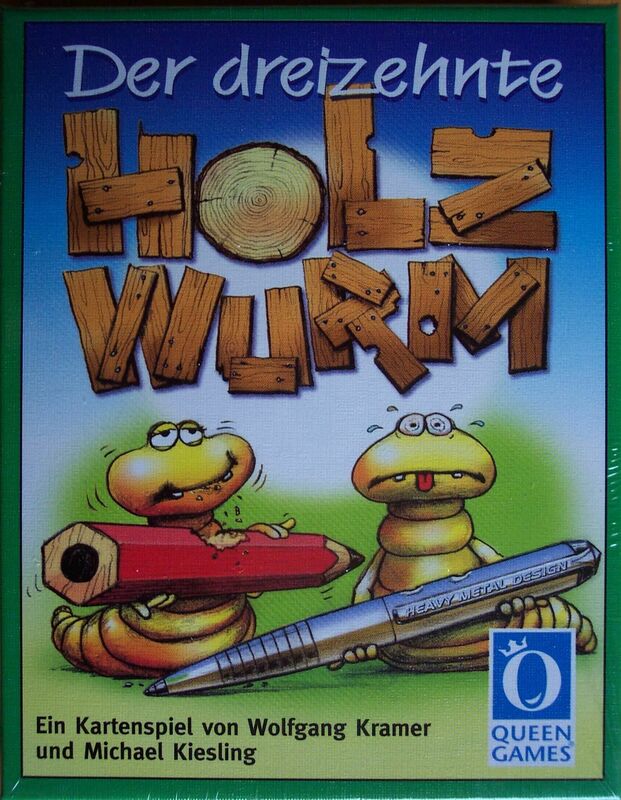 The name of the game translates as something like 'The Thirteenth Woodworm,' but the theme doesn't have much relevance to the game. Similar to Kramer's other creations, 6 Nimmt! and Hornochsen, players are putting positive and negative cards into groups and either trying to take the resultant points, or avoiding the subject all together. This game falls in between the previous incarnations, being less brain-burning than Hornochsen, and more strategic than 6 Nimmt!.